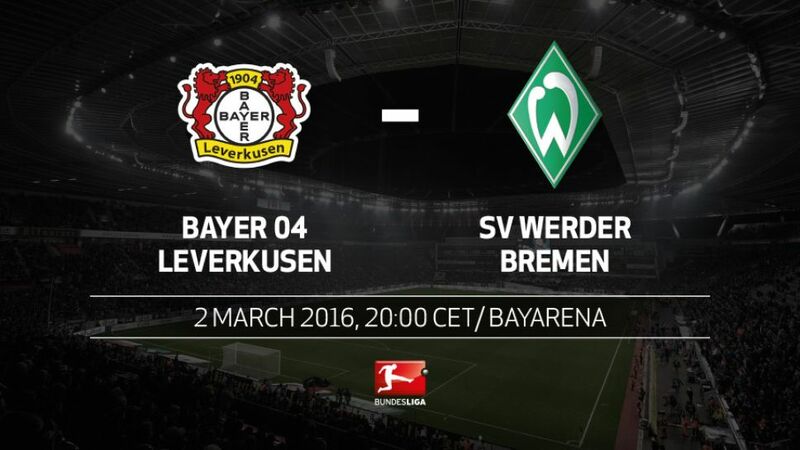 Bayer 04 Leverkusen need to deliver an immediate response to their weekend defeat at 1. FSV Mainz 05 if they are to keep up the pressure in the race for a top-four finish when they host struggling SV Werder Bremen on Wednesday (kick-off 20:00CET/19:00GMT). A Javier 'Chicharito' Hernandez goal was not enough to prevent Die Werkself from falling behind Mainz in the standings after a 3-1 defeat on Matchday 23, but they fortunately do not have long to dwell on that defeat as the fixtures continue to come thick and fast for a side who are in action again in the UEFA Europa League next week. Opponents Werder showed plenty of fighting spirit to come from behind at home to SV Darmstadt 98 and grab a crucial point, but they are still in the relegation play-off berth with the bottom two also closing in, which is why every point counts at this stage of the season.